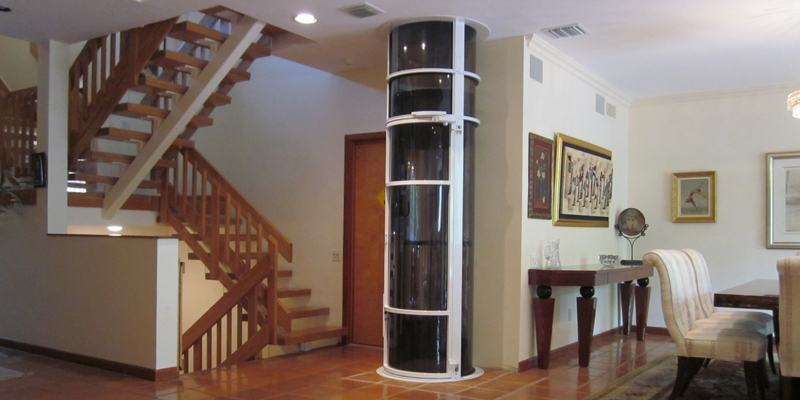 At Vision Elevators, we carry several different models of glass vacuum elevators that would be great in many homes. Using a pneumatic drive system, our vacuum elevators provide quick, convenient, and safe travel between floors in your home. 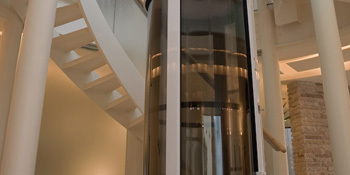 Add luxury and mobility to any room with one of our glass vacuum elevators. The Vision 350 is our smallest model and is great for homes of any size. It is compact, so it can fit into almost any room, without hindering or standing out from the rest of the area. 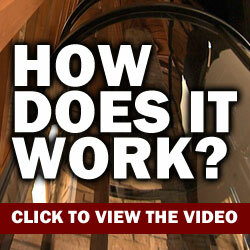 Minimal installation is required, and it can be attached to a balcony or through a small hole in the floor. No pit or machine room is needed, reducing the cost of installation and keeping the overall price down. Great for providing convenience, the Vision 350 is a versatile and efficient addition to your home. Our most popular glass vacuum elevator, the Vision 450 is compact and spacious. The 37 inch cab diameter allows for a comfortable ride and efficient space use. This model does not require a pit or machine room, allowing for cheaper construction costs and faster installation. The Vision 450 can hold up to 450 pounds and is great for a busy family. With four available stops, this pneumatic elevator can be a priceless convenience for any family. From bringing multiple riders to another floor or bringing the laundry to the basement, the Vision 450 is a great choice for any home. Our final and biggest pneumatic elevator is the Vision 550. Designed to have enough space someone in a wheelchair, the Vision 550 will help a physically disabled person maintain his or her independence and mobility. With a weight capacity of 525 pounds and a 52 inch diameter, this elevator is comfortable for anyone using a wheelchair. The Vision 550 does not need a pit or machine room, even with its larger size capacity. The mobility and independence that this elevator can provide someone confined to a wheelchair will prove priceless over time.